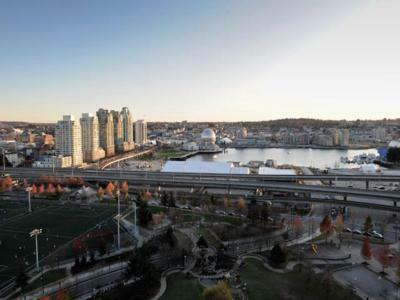 Taylor 22 is a recently renovated, completely furnished, hardwood flooring one bedroom with balcony suite on the 22th floor of one of Vancouver's most desirable locations. The suite at The Taylor building is located on the south side of the building. 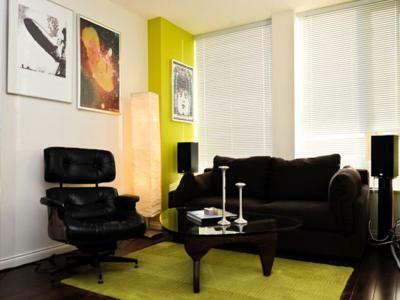 This unique space is bright, modern, and newly decorated - perfect for a single person or couple. Your home away from home is fully equipped with a 40 inch flat-screen TV, high speed wireless internet, hi-fi stereo and DVD system, stainless steel appliances, in-suite washer and dryer and an exercise room at the lobby of the building. The bedroom has an extra-comfortable queen size bed with a very spacious closet with drawers and shelves for easier organization. There is a fairly wide balcony with a BBQ grill and a full bathroom. The kitchen area features modern, full-size appliances including fridge with freezer, electric stove, dishwasher, microwave, and garbage disposal as well as a kitchen island with two modern stools. Complete home furnishings include all kitchen and dining necessities, bed and bath linens, and other household comforts. 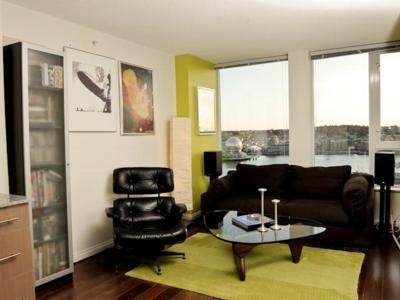 Includes all utilities, local phone, cable TV, internet and parking spot 1 visitors parking tag. There is a full time on-site care taker and a concierge, electronic FOB access and extensive modern video security system. The Taylor building is known for its superb location in Vancouver's central downtown area it is surrounded by areas like Yaletown, Gastown and Main Street steps away to public transportation, close by the False Creek waterfront and within meters away of attractions like Science World, GM Place and BC Place. When it comes to conveniences, The Taylor is located right beside International Village shopping mall, Tinseltown, with a Starbucks, 7 Eleven, Rexall drug store, Cinemark Tinseltown movie theatre, dry cleaner, liquor store, among other services. In a two block ratio there is a wide variety of services such as T&T supermarket, London Drugs, Nesters Market, video store, beauty studio and Costco. 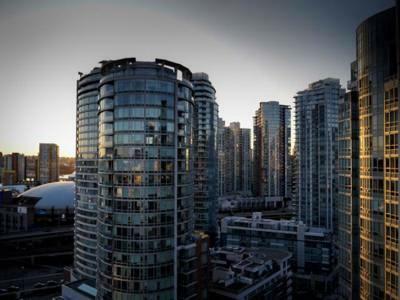 Yaletown is a trendy urban community comprising a vibrant mix of residential, office, and shopping, including gourmet grocery stores, great restaurants, cafes and coffee shops, micro-breweries, night clubs, boutiques, and galleries. The nearby sea wall welcomes a year-round mix of walkers, joggers, cyclists, and roller-bladers. Head to the bottom of Carrall Street to the waters of False Creek, where the Aqua Bus leaves on a frequent schedule for destinations such as Granville Island, Yaletown and English Bay close by Vancouver's famous Stanley Park. To the opposite direction of Carrall Street is Gastown, the oldest and recently renovated neighbourhood in Downtown Vancouver, with a wide variety of restaurants, galleries, pubs and nightclubs for you to explore.